Mungo Bovey QC called to the Scottish Bar in 1984 and was later admitted to the English Bar in 2000. He was appointed a Queen’s Counsel in 1998 and has been sitting as a part-time Sheriff since 2009. Mungo has litigated human rights cases at the highest level over a number of years, often in the House of Lords, Privy Council and the UK Supreme Court. 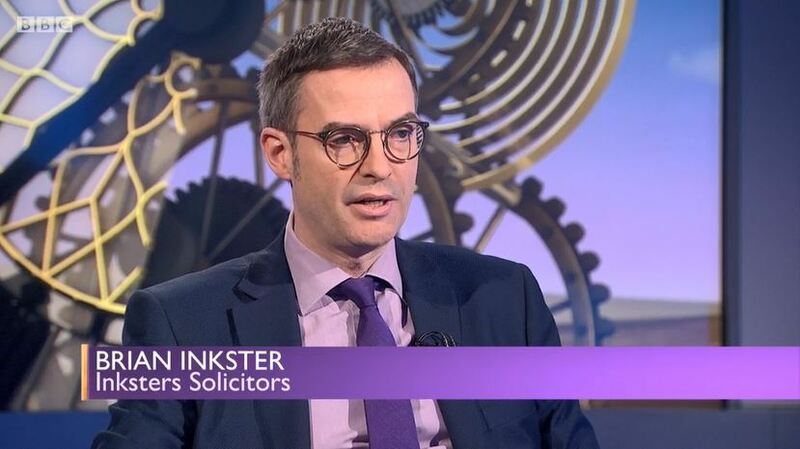 In 2014 he successfully defended in the Supreme Court two decisions of the Inner House of the Court of Session: In A v SSHD the BBC sought unsuccessfully to challenge anonymity ordered for his client in an asylum case while in Secretary of State for Home Department v MN and KY his challenge to the use of linguistic analysis reports in asylum cases was upheld with substantial consequences in this field. Mungo is listed by Chambers legal guide in the fields of both Administrative & Public Law and Civil Liberties & Human Rights. Chambers state that “He will always keep fighting. He’s a challenging opponent”. In addition to a vast number of roles which include, since 2008, Keeper of the Library of the Faculty of Advocates, Mungo is the convenor of the Faculty of Advocates Free Legal Services Unit. After a 2016 event Mungo spoke about the importance which the Faculty attaches to its pro bono role and the provision of training to front-line service providers such as law clinics. For a QC as accomplished as Mungo to recognise the work which front-line service providers do and to devote his time to attempting to improve this through the Faculty’s pro bono initiatives is hugely inspiring. Mungo demonstrates that the goal of all involved in law clinics of seeking to improve access to justice is something which can, and should be retained throughout the legal careers we will embark on. It will be a privilege to have Mungo Bovey QC address the 2017 SULCN conference as our keynote speaker. 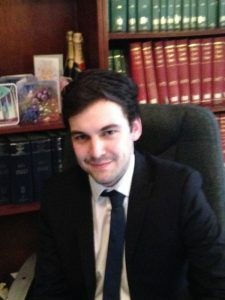 Andrew Tickell is a lecturer in law at GCU, having joined the department in 2014 following time spent studying at the universities of Edinburgh, Utrecht, Glasgow and Oxford. Andrew’s research has focused on a socio-legal evaluation of the admissibility decision-making of the European Court of Human Rights. He is also interested in the law, politics and operation of devolution in the United Kingdom and broader jurisprudential questions of law, rights, liberalism and liberty. 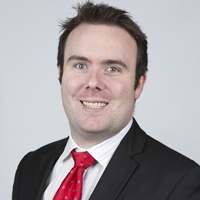 Outwith the academia, Andrew advised the National Theatre of Scotland on disability law and policy and has counselled Alyn Smith MEP in matters of European law, policy and politics. He has contributed expert evidence to the Scottish Parliament on the future of devolution and regularly assists NGOs in their scrutiny and evaluation of Scottish government law and policy. 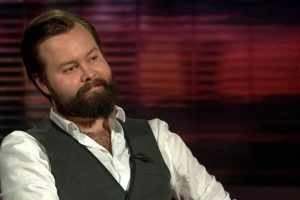 Andrew is also a regular contributor to the Times in Scotland and appears regularly as a commentator on law and politics online, in print, and on national radio and television. His bylines include the Scotsman, Scotland on Sunday, Daily Record, the Sun, the National and Scottish arts and public affairs periodical, the Drouth. He blogs as Lallands Peat Worrier and tweets regularly. Andrew’s session at the SULCN Conference will focus on how people access justice and will feature a panel discussing barriers preventing this and how they can be overcome. The Employment Law team from Blackadders will be joining us to run a mock Employment Tribunal so that student advisors are able to understand how the experts conduct these hearings. 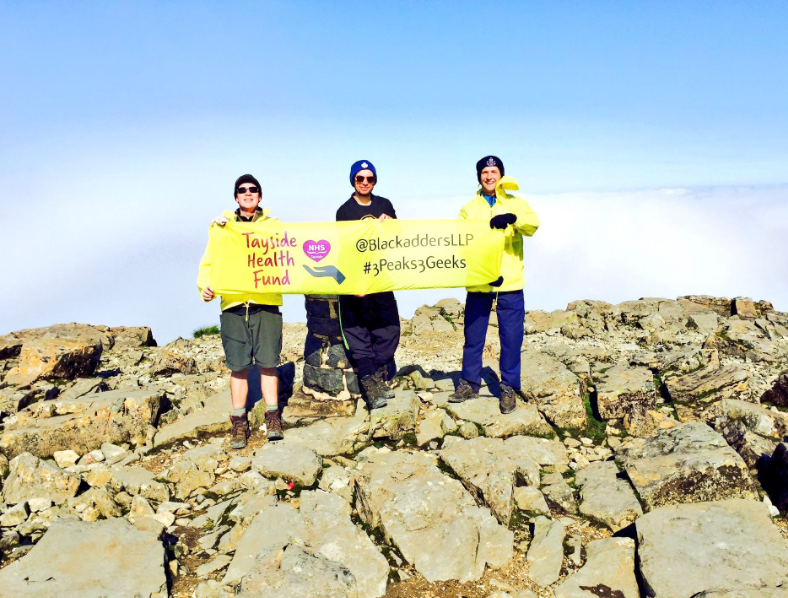 The team from Blackadders are the reigning Employment Law Team of the Year, having won the trophy in 2016 at the Scottish Legal Awards and we are delighted that they will be coming to Glasgow for SULCN 2017. The team are incredibly innovative and have a way of explaining employment law matters in a way that all lecturers in the subject should aspire to! Their use of social media show that Simon, Jack and Andrew are classic examples of the adage that if you know something inside out then you can explain it simply. Who would make the best lawyer in the Seven Kingdoms? They have the answer here. At the Legal Awards this year Simon is a finalist in the Lawyer of the Year category, Andrew a finalist in the Rising Star Award while Jack has been ranked as an Associate to watch by the latest Chambers guide. Their fantastic Employment Lawyer in Your Pocket Podcast is a brilliant resource and shows why the team is so highly rated. Each episode succinctly and simply explains how managers and HR professionals should be conducting disciplinary proceedings and their use of puns can only be described as stellar! 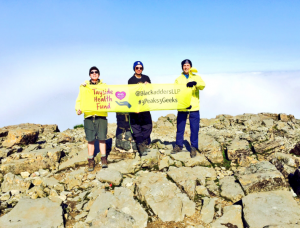 Their charitable work is also something which deserves a lot of praise, in particular their effort in the 3 Peaks Challenge. We are delighted they will be joining us to run a mock employment tribunal, there is nobody better for student advisors to learn from than the Employment Team of the Year. In practice, he primarily concentrates on property related issues, and has a special interest in Crofting Law. He is a highly valued member to a number of Scotland’s most important and influential crofting groups and forums, which he can be seen to blog about here. His long running and indeed, ground breaking case involving the question of a servitude right to park was successfully lead in the House of Lords in 2007. Since this triumph, Brian has also lectured on its details at the Universities of Aberdeen, Edinburgh and Strathclyde. Finally, he was also a visiting lecturer on the Law of Servitudes at the University of Strathclyde for a period of three years. Brian is also a member of the Communications Group of the Law Society of Scotland and is often requested to comment on matters pertaining to how the use social media and technology may enhance the running of a firm. The Time Blawg is where Brian blogs about the past, present and future of the legal profession. With his extensive experience as listed above, coupled with a keen interest in technology and social media, we believe Brian will be a great asset to the 2017 SULCN Conference. On 7 June Brian will be providing our delegates with his expertise in branding and social media and we are very grateful that someone of Brian’s caliber is joining us. Rob is Head of Education and former Senior Policy and Development Manager at the Law Society of Scotland. Rob is currently blazing a trail with the Society’s award winning Street Law Programme. Street Law is carried out by qualifying law students who firstly design lesson plans, and then deliver these to children of school-age. The lessons are law-focused and highly participatory; aiming to provoke debate amongst young people as to how the law and the society it functions within ought to be shaped. The concept was recently voted “Best Training Initiative” at the European Association Awards, and has been hailed as “collaboration at its best” within the profession. Rob also contributes to the creation of the structure around qualifying lawyers entering the profession, or ‘how lawyers become lawyers’. He is highly aware of the more contemporary side to the legal world; helping to design accreditation for emerging professions, such as legal analysts and technologists. With the ever-evolving legal world becoming more and more technology focused, Rob will deliver a Street Law Session to our delegates encompassing a tech based theme and encouraging more of Scotland’s future lawyers to become ‘Street Lawyers’. 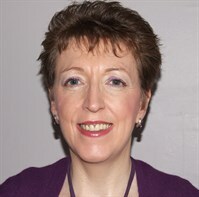 Shona has been the President of Employment Tribunals (Scotland) since 2009, having previously held the post of Vice-President for five years before that. She has been a salaried Employment Judge since the start of 2002 and before that was a partner from 1993 in Mackay Simon WS. She was an accredited employment law specialist for many years prior to becoming an Employment Judge and her particular area of expertise was discrimination law. She has been involved in cases at all levels including the first Scottish discrimination case in the employment field to go to the CJEU. In the 18 months before she left practice she was also the Equal Opportunities Development Adviser at the Scottish Parliament. As the President of a reserved tribunal Shona sits on the Tribunal Judges’ Executive Board and on a number of sub-committees of the Judges’ Council (E and W) representing the interests of reserved tribunals. She also represents reserved tribunals on the Judicial Council for Scotland and is a member of the advisory board of the Judicial Institute and its equality and diversity advisory group. 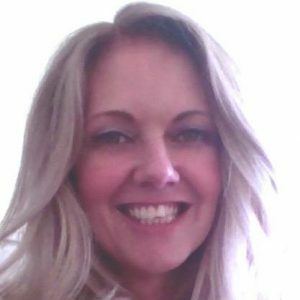 Shona is the co-author and update editor of Simon and Taggart Employment Tribunal Practice in Scotland (W Green & Son) and is currently a Visiting Professor of Law at the University of Strathclyde. Judge Simon has seen first hand the positive impact that the work of law clinics can have in helping people who have no other means of accessing justice and we are honoured that she will be addressing our delegates on 7 June on how the ethos of helping those without representation is one that they should carry into and throughout their legal careers. Not only a Professor in Law at Strathclyde University since 2000, and the founder of the Strathclyde Law Clinic, Donald Nicolson has also contributed immensely to the formation of SULCN and the development and growth of law clinics across the country. Prior to his tenure at Strathclyde University, Donald lectured at the universities of Cape Town, Warwick, Reading and finally Bristol, where he established the University of Bristol Law Clinic. His extensive list of published works include numerous articles and a co-authored book on lawyers’ ethics, various articles of clinical legal education, articles and another co-edited book on criminal law, and articles on law, gender, feminist legal theory and adjudication. His current research interests lie in the areas of evidence and the relationship between legal practitioners and ethics, with particular reference to moral development. He is on the editorial board of Legal Ethics, a trustee of the recently established LawWorks Scotland established to promote voluntary legal work and a member of the Law Society of Scotland’s Access to Justice Committee. It is therefore unsurprising that Donald was awarded an OBE in 2011 for his unwavering efforts to the legal profession and its development. Donald will join us on the day to speak to delegates about his passionate belief that the law and ability to access justice should be enjoyed by everyone. In establishing two of the largest law clinics in the UK, Donald has instilled in a huge number of law students the pro bono values he champions and we look forward to him delivering an address on the need to continue striving to open up the legal system to everyone. Donald will soon be leaving Scotland to take up a position running the University of Essex so we are looking forward to inspiring our delegates while we still have him! This particular speakers’ interest in pro-bono work sees him returning to his undergraduate university to join us at the SULCN Conference 2017. 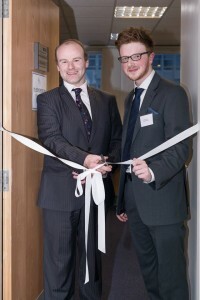 Ryan Watson, now a qualified solicitor with Livingstone Brown, graduated from GCU in 2014, but not before he had left his mark on the University’s Law Clinic. During his Honours Year, Ryan was the part of the Law Clinic’s founding management team, taking on the role of Assistant Knowledge Manager. With his firm’s expansive delivery of legal advice – topically but also geographically – Ryan is perfectly placed to deliver the “Beyond the Campus” session, and explore methods and means used to facilitate accessing justice in more remote areas. Ryan has returned to GCU on a number of occasions since beginning his traineeship with Livingstone Brown and the whole Law Clinic team is grateful that he is once again giving up his time to join us and help us to improve on the delivery of our pro bono services. Greg Scott, now a Legal Analyst with Ashurt, is a GCU Graduate, and was also the Law Clinic at GCU’s inaugural student director. Following his graduation from the LLB, Greg pursued an LLM in International Law and Security at the University of Glasgow. 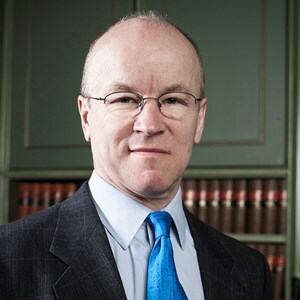 He continues to profess his support for the service which Law Clinic’s provide, and the merits of volunteering itself, stating that not only do Law Clinics provide a platform for students to develop their own legal skills, but “concurrently make a massive difference to the people who need it most”. Greg will join Ryan Watson of Livingstone Brown Solicitors to deliver the session on accessing justice, entitled “Beyond the Campus”. With Ashurt committed to creating a leading pro-bono practice on a global scale, Greg will share his first-hand insight regarding the mechanics of delivering this service, and bringing such an ambition to life. Arlene is an experienced dispute resolution lawyer (litigation, arbitration, mediation) and accredited commercial/ civil mediator. With a passion for the intersection of law and technology, she is the founder of the Legal Hackers Scotland chapter, which is part of a global movement of policymakers, technologists, and academics who explore and develop creative solutions to some of the most pressing issues at the intersection of law and technology. Arlene also tutors at Glasgow University Law School and sits on the Law Society of Scotland access to justice committee. Arlene will lead a session on legal tech and how it can improve access to justice. She is a regular tweeter and you can follow Scotland Legal Hackers here. Martin Jones joined GCU in 2003 and since then he has combined his interest in innovative pedagogies within and beyond his own discipline. He has held a number of senior roles including Head of Learning Teaching and Quality and he also sits on the University’s Academic Policy Committee. In 2011, he became the founding Director of the Learning Development Centre where he leads a team of seven staff. 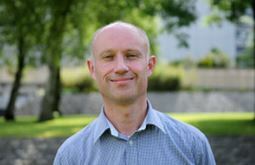 Since 2012, he has been a Board Member of Argyll College UHI where he chairs the Learning & Teaching Sub-Committee. He also sits on the executive of the British & Irish Law, Education & Technology Association. Martin is particularly interested in the use of new technologies in Higher Education. His LLM dissertation centred on the creation of an e-learning tutorial for law students as part of a larger IBM sponsored project. At Staffordshire University, he was involved in the COSE Project which built an in-house learning environment based on a constructivist pedagogy. Since then, his practice has evolved through being an early adopter of technological developments such as wikis, Second Life, Turnitin and Twitter, through to his current use of web conferencing in order to promote an internationalised student learning experience. His teaching at undergraduate and postgraduate level encompasses European Union law and Internet law. 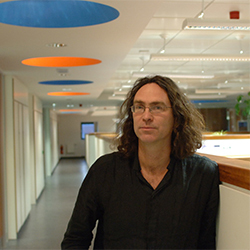 His current research focuses on the privacy implications of wearable technologies. 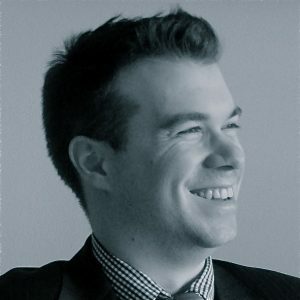 Martin’s interest in technology makes him a perfect addition to our legal tech panel at SULCN. 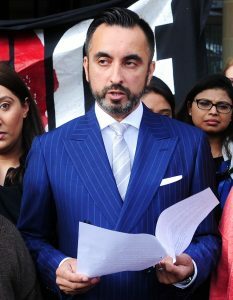 Aamer Anwar is one of Scotland’s most well known human rights lawyers. Aamer founded Aamer Anwar & Co, Solicitors & Notaries in 2006 and during his career has has taken on a number of high-profile cases, including representing the families of the Fife man Sheku Bayoh, who died in police custody, and the murdered Indian waiter Surjit Singh Chhokar. He is a noted campaigner for a number of causes including the Stop the War Coalition and the Time for Inclusive Education campaign. In addition to his eponymous firm winning the Criminal Law firm of the year in 2014 when they were also finalists for the Global Law firm of the Year, 2017 has seen Aamer recognised for his work with the Lawyer of the Year award at the Scottish Legal Awards, which followed being named Solicitor of the Year at the Herald’s Law Awards of Scotland in 2016. He was also named Rector of the University of Glasgow where he won the student vote in a landslide victory and he has spoken passionately about the need to improve, among other things, the student housing situation in Glasgow, something law clinics have been very active in. Philip Hannay is Managing Director of Cloch Solicitors Limited, an award-winning boutique law firm specialising in business law & intellectual property, and is well-known for assisting entrepreneurs in generating money from ideas and technology. Philip teaches both ‘Company Law’ and ‘IP & Commercial Contracts’ in the Universities of Glasgow and Strathclyde; he is Honorary Secretary of Friends of Glasgow School of Art, Council Member of The Royal Faculty of Procurators in Glasgow, Co-Chair of the Creative Industry Skills Forum, member of the Scottish Government Creative Industry Advisory Group; and between 2002-2011 founded and exited four successful (creative industry) micro businesses. Philip’s day to day work includes assisting business with starting-up, intellectual property, licensing & franchising, contracting, director compliance, dispute resolution, acquisitions and disposals, succession. Philip recently invested in Independent Ventures®, a technology R&D business which creates software products for the legal and financial sectors; and the Lawyers Heritage Society, a social enterprise which showcases and encourages the exploration of legal history. The material for the latter venture was boosted by the acquisition of the law library of the late Lord Rodger of Earlsferry, Justice of the Supreme Court of the United Kingdom. 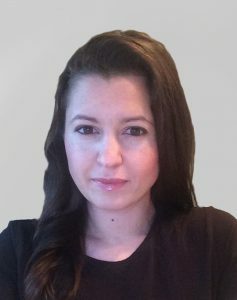 Elena Dumitrana is a Data Analyst. She previously worked as a public servant for the local government – legal sector – in a data analysis role, and maintains a strong interest in that sector. Elena believes that analytics initiatives can lead to improved performance, optimised processes or increased revenue. She is interested in digital transformation, the benefits of collaborative work and sharing best practices across sectors and industries.